Nadene Mairesse and Brandy June Flowers are southern gals with a lot of soul. With a love for textiles and design, the pair were thrilled at an opportunity to create aprons for a local restaurant called Odette in Florence, Alabama. 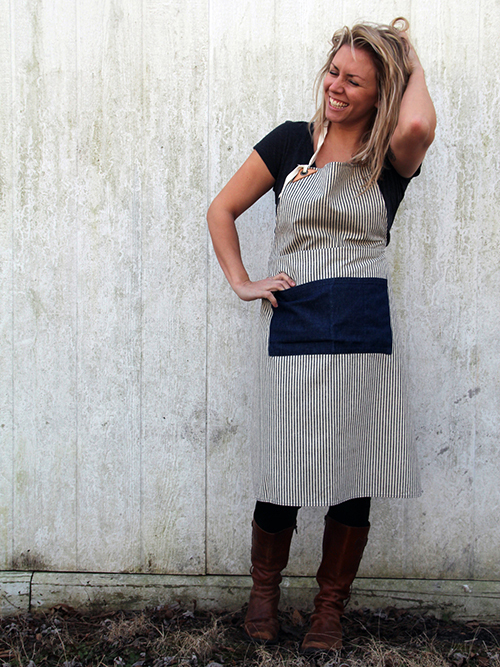 Inspired by the process (and feedback), the friends decided to produce and sell an entire line of aprons. Brandy June handles all sales and merchandising while Nadene is the design guru and creative force behind the brand. 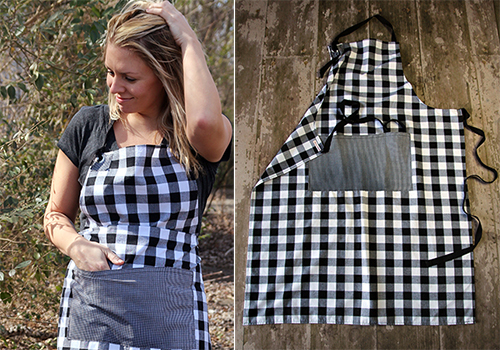 Nadene has created six options in her online shop, Idyll/Wilde, including the Little Helper for the young, aspiring chefs, and the Gingham Butcher Apron for those that seek a bit of culinary style. 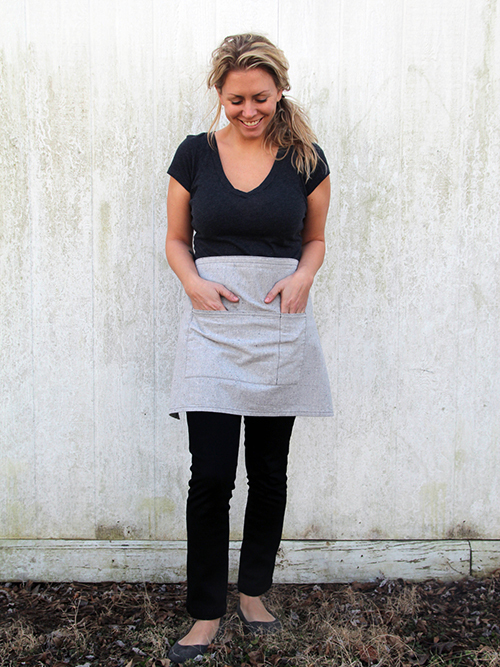 I'm a fan of the bistro apron, made of flecked gray organic cotton and recycled hemp. Northwest Alabama has miles and miles of cotton fields so it always just feels right when designers are inspired by local materials. Plus, the burgeoning food and design scene has really expanded with Natalie Chanin, Billy Reid and others. All of Nadene's handmade garments, which include women's and children's clothes, are made from start to finish in her small workshop in Muscle Shoals, Alabama. I hope to have a chance to visit one day as I'd love to check out that part of Alabama- just so much creativity happening in that northwest corner of the state. Must be the water or the soil or something southern, stirring and feeding the soul... See the entire Idyll/Wilde shop, here.